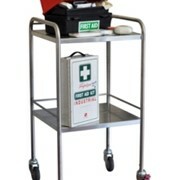 The Medical Tablet Cart combines the 313 Medical Tablet with a sleek, lightweight rolling cart. 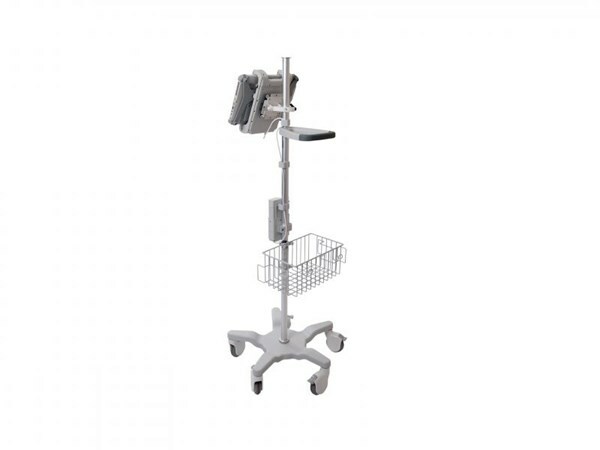 With a locking tablet mount for secure operation and additional ports for expanded functionality, the Medical Tablet Cart also offers a hot-swappable battery pack for extra operating time (up to 14 hours total), maximising performance and power longevity. 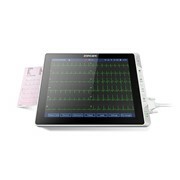 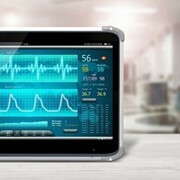 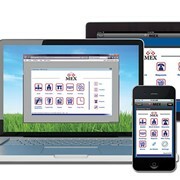 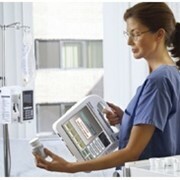 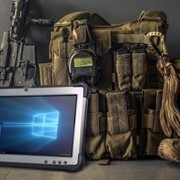 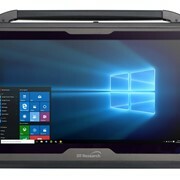 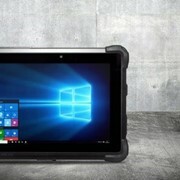 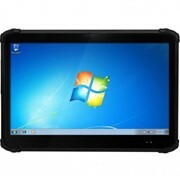 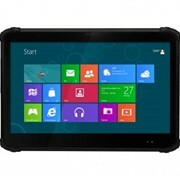 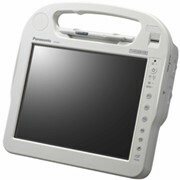 The 313-MD Medical Tablet features a brilliant 13.3” touch screen, a high performance Intel processor, and optional barcode scanner, RFID reader, and camera. 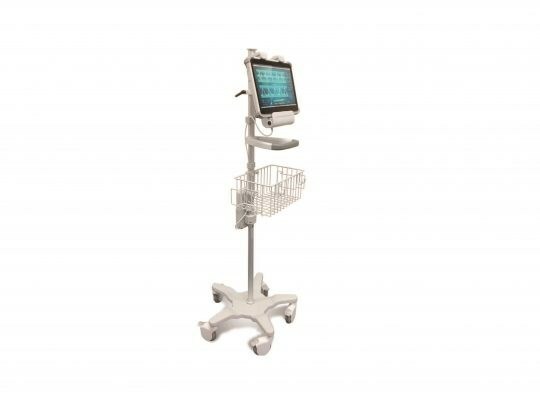 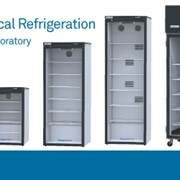 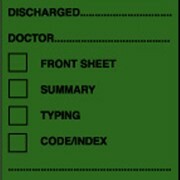 The Medical Tablet Cart allows healthcare professionals to efficiently monitor, record, and retrieve patient information with the DT Research Medical Tablet docked on a non-intrusive, easy to maneuver cart. 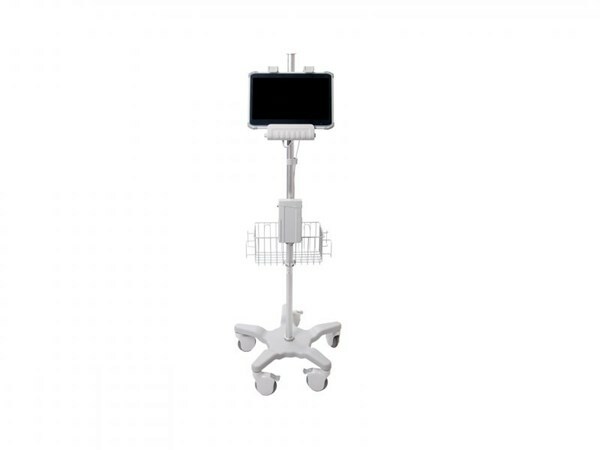 The 313-MD Medical Tablet can be used without the cart with the touch of a button and easily carried with the built-in hand strap, designed for comfort and minimal arm strain. 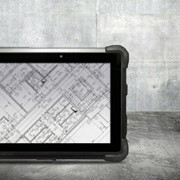 The built-in Wi-Fi, Bluetooth and optional mobile broadband connection make data access efficient and optimises staff workflow.